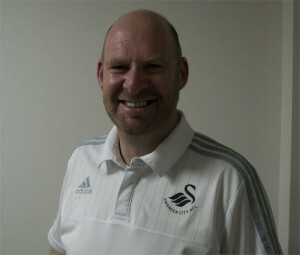 Welcome to YJB Focus, where we meet a loyal Swans fan who also happens to be a regular visitor to the SCFC2 website. How long have you been supporting the Swans? Why did you start supporting the Swans? My friend’s Dad was a supporter and not long after my Dad took me to an evening game at the Vetch. Up until then I’d always been a Leeds Utd follower! Not after that night though and I’ve never followed them again since! What was the first Swans game you attended and what are your memories of it? Newport County at home on a dark Tuesday night on 23rd September 1975. It was a 2-2 draw and only my 3rd game ever – but it was my first time at the Vetch Field. It was the first time I’d ever stood in a large crowd on the North Bank. The floodlights, dodgy smells, etc, etc. – I was hooked! Who is your worst Swans player of all time, and why? Blimey..there’s been a few who could go in here! Hmm… Aiden Newhouse maybe? What is your least favourite away ground (past or present), and why? I went once to the Kassam Stadium, home of Oxford United. What a soulless stadium and no pubs close by! We dominated the game, let in 3 goals in final 10 minutes and ended up losing 3-0 AND I got a parking ticket! Twerton Park (Bath) was a bit scary too when Bristol Rovers used to play there! Funniest moment whilst watching the Swans? Funny…ish but a bit sad too?!? 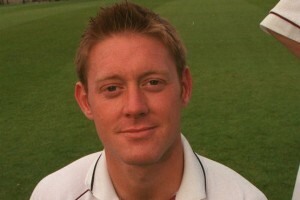 Watching Bristol City manager Brian Tinnion sit in the dugout on his mobile phone after we had beaten them 7-1 in 2005. I can only presume it was his chairman as later that evening he was sacked! You’ve got a meal deal ticket for Nando’s, which Swans player (past or present) would you take with you and why? Got to be Leon Britton! Down to earth and all round good guy! Just encompasses everything that we love about the Swans! What do you like most about the Swans? Just the way we are run and how other similar size clubs try to use us as a model. If there was one thing you could change about the club what would it be? We desperately need to expand the stadium to get the next generation of Swans to regularly attend games. Once you get them there a few times they will become a lifelong Jack!! Would like to see a safe standing area introduced asap too. Vetch Field pasty or Liberty hot dog? Vetch field pasty every time! If you would like to feature on YJB Focus, then get in touch via our contact us form and you never know, you could be featured here next time!